Well I just signed up for ‪#‎31Days‬ thanks to one of my most dear friends so I better get serious. Today is one of the first days of fall where it actually feels like fall. It seems like overnight the leaves started falling off the trees and the weather turned cold. When the seasons change I always find myself more reflective. And I have a lot to reflect upon after my summer abroad. One of the most amazing things I did this summer was visit the holy city of Jerusalem. It was an incredibly moving and memorable experience in so many ways. I was able to walk where Jesus walked and regardless of what religion you are (or even if you don't follow religion at all) that's pretty damn cool. 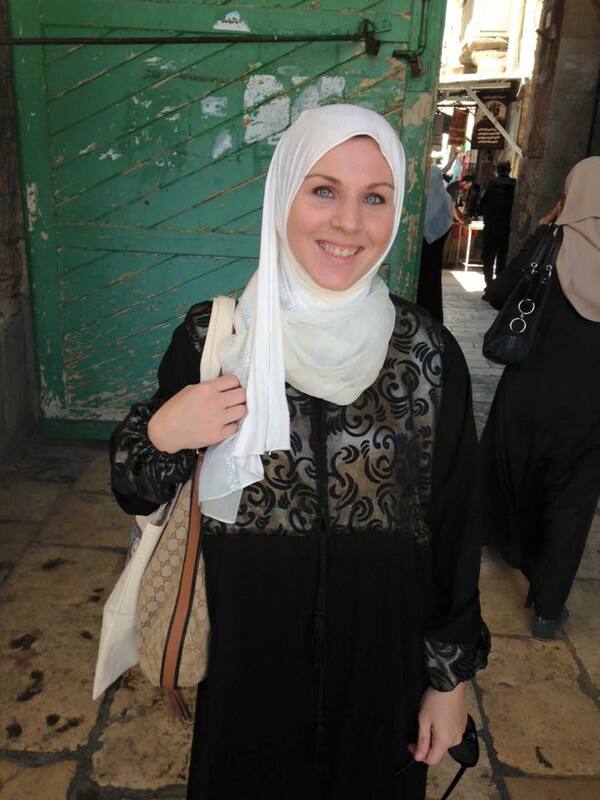 I visited the Dome of the rock, Ibrahim Mosque, Al Aqsa compound and the Church of the Holy Sepulchre. The city is full of so much history and vibrancy. It almost didn't happen though. Before we could even make definite plans to visit Jerusalem my husband and his family, who all hold Palestinian ID's, had to get a special permit just to be able to visit. These permits can be very difficult and expensive to obtain but my in laws are amazing people and took all the necessary steps so that they could take me and my children. 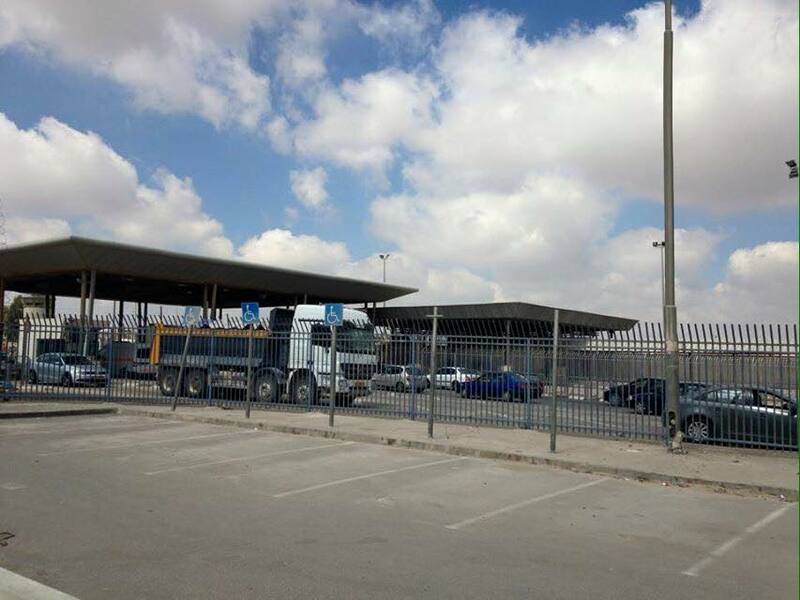 Our journey started in Ramallah where we drove the short distance to the Qalandia checkpoint. 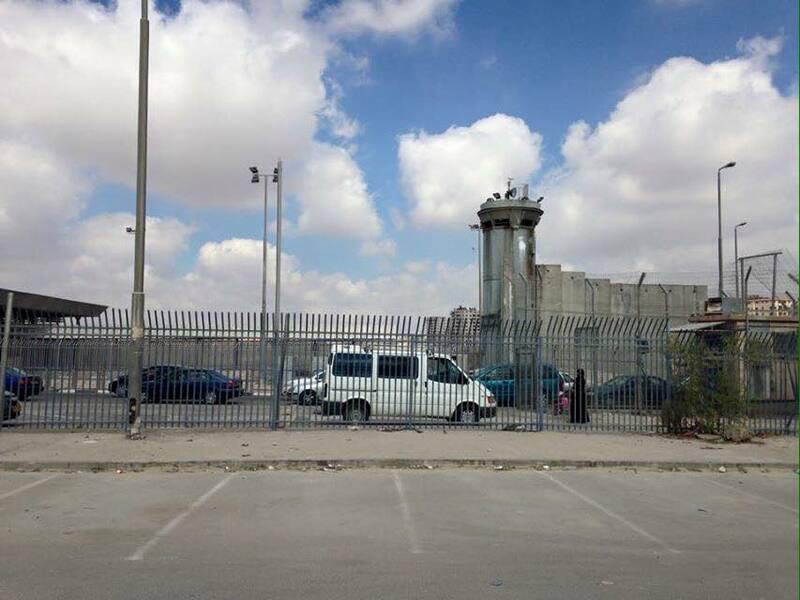 The Aparthied Wall is in full display leading up to the checkpoint and the entire area is surrounded by heavily armed soldiers, razor wire and cages. As an American it's very unnerving situation. I've never before had assault rifles pointed at me or been trapped in a a revolving turnstile that literally holds you (and your small children) in place. I tried to remain calm because "I'm an American. They won't give me any trouble." At least that was what I was thinking . I mean my county sends them $4.5 billion dollars in aid every year (it went up 50% this year) An American passport is a privilege that many people take for granted but it does make international travel easier. 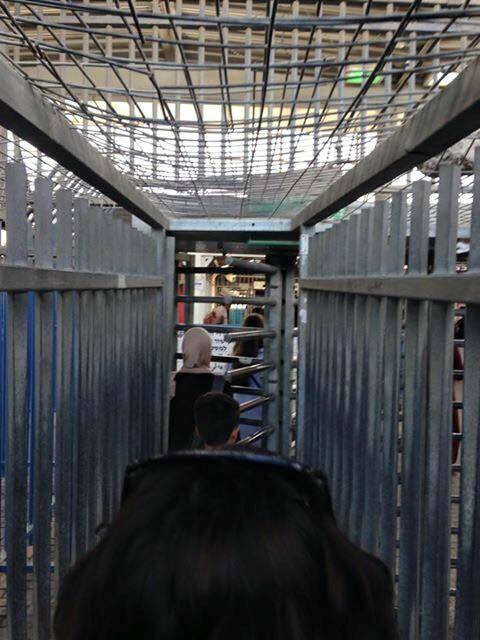 I watched as my family was allowed one by one to enter through the checkpoint. I suffer from severe social anxiety after an assault a few years ago so it wasn't exactly an easy task to remain relaxed but I was in between my father in law and my husband, with our 3 small children, so I was in good hands at least. When it was finally my turn the soldiers called me up to the window. They asked for my passport, supposedly checked something in their computer and then told me that I didn't have the right visa. According to them the stamp in my passport said I could only enter Ramallah. That might almost make sense except I didn't even enter Palestine through Ramallah, it's physically impossible. And both my family and I checked to make sure I didn't need any additional visa. Even at the border crossing (a totally separate nightmare) they told me that Americans don't need a special permit to visit Jerusalem. My father in law and I both stood there in disbelief as the soldiers denied my entry. I asked them to speak to a supervisor, what visa I needed, where I could get this visa, in a very respectful way since they had multiple weapons pointed my direction and my children were behind me but they refused to answer any questions and literally screamed at me until I turned away in tears. How was it that I was the only adult in the group who didn't need a permit and i was the one denied entry? The people behind me in line looked at me in sympathy as I was forced to retreat in shame. Many of them had suffered the same fate at some point, many on a regular basis. After about 20 minutes someone suggested that I try the other guards. Thinking it's hopeless because they have something in their computer that says I'm not allowed in I'm reluctant to attempt again. But we were still waiting for my father in law to find everyone else so I decided to try. I certainly had nothing to lose. Imagine my shock when the next soldiers let me in almost immediately. We had to rush and try to find the rest of the family before they went back outside to try and find me. We were doubly lucky because the only person who had gone through was my father in law to tell me to try again and he was allowed through a second time. If that's how they treat a normal person with an American passport can you imagine how Palestinians, who are considered a demographic threat, in their own land no less, are treated? 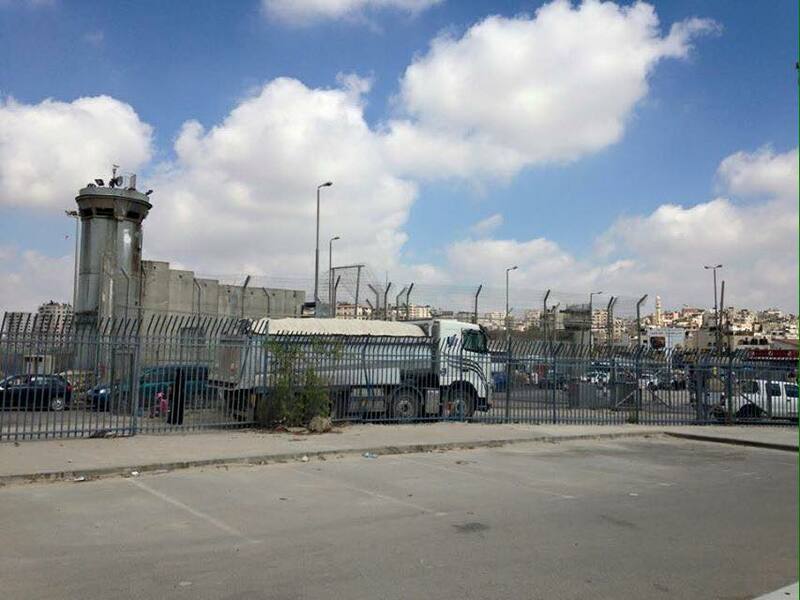 Many people have to use this checkpoint to go to school, work, see their family and they are at the mercy of soldiers who are forced into military service at age 18. Everyone wants to talk about Israel's right to self defense. But nobody ever mentions that international law says that the Palestinians have the right to defend themselves. Palestinians have no army, no tanks, no jets, no drones. There is no right to self defense in land that is illegally occupied.